Grace offers three distinct worship experiences each weekend along with our holiday worship schedules. 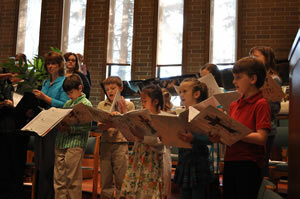 Grace’s music worship life is enhanced by the vocal and instrumental gifts of many people through our adult and youth choirs, praise teams, children’s choirs, worship band and large-group ensembles, adding to the beauty and enjoyment of worship each week. Worship at Grace is enjoyed in many styles and formats, from traditional Lutheran liturgy and hymns through contemporary songs and even Bluegrass liturgy. We know that people respond in positive ways to many different styles of music, and we work to incorporate those styles in our worship! Children are welcome in worship at Grace, where a children’s message is included on Sundays each week to share God’s good news with our youngest children. 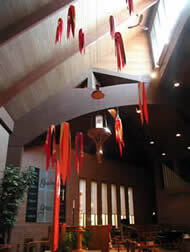 We have children’s Activity Bags available near the entrance of the sanctuary. While all children are always welcome in worship, a nursery space is available if needed. 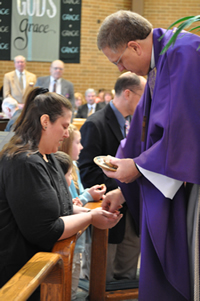 The Sacrament of Holy Baptism is offered at designated worship services throughout the year. We welcome all–adults, children, and infants–to become a member of the Body of Christ through baptism. For more information or to indicate a desire for baptism, please contact one of our pastors or the church office. Grace offers a Service of Healing periodically through the year. This brief service, held immediately following our Sunday contemporary worship service, focuses on the healing love and power that God extends to all people. Included in the service are the anointing with oil and laying on of hands, if desired. The 2nd Sunday of each month, June through August, the 10:00 a.m. service will be in our wonderful outdoor worship area. Bring your blankets and folding chairs to these special shorts and sandals services. 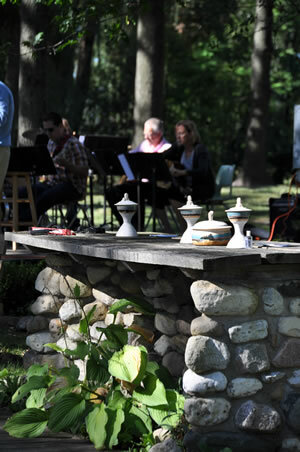 Outdoor worship on the Second Sunday of June, July and August at the 10 AM service. 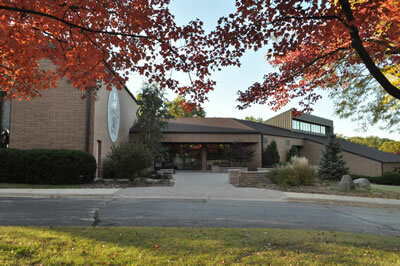 We offer Holy Communion at every weekly service, and we welcome all who believe to receive communion. 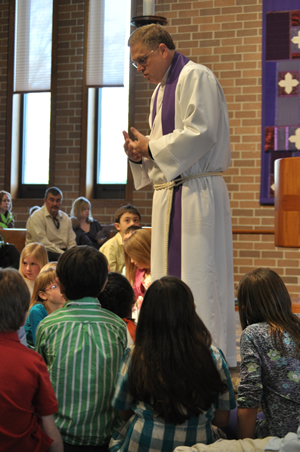 Children and those who have not yet received Communion instruction are invited to receive a blessing. Bread used at Holy Communion each week is lovingly baked by member families (view or print a PDF of our Communion Bread Recipe).